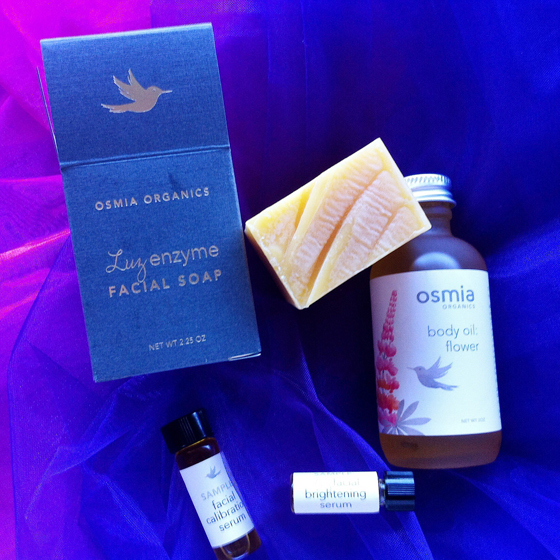 I met the supremely friendly and down-to-earth team at Osmia Orgamics, a stand-out soap and skincare company made with high-quality natural and organic ingredients, at A Night For Green Beauty over the summer. I felt like a really bad green blogger for never having tried their products, despite hearing great things from everyone…Jennifer included! She had the pleasure of sampling some of their products for acne prone skin earlier in the year and loved them so much. Go check out her review of the Spot Treatment and Black Clay Facial Soap. Jennifer and I have very different skin, but our experience with Osmia was the same: we fell in love. Osmia sent me products for hydration and balance. I am 30, and my skin is combination. Sometimes it’s crazy oily, other times it’s borderline chapped. I have acne here and there, but nothing too awful…I think it’s what might be considered “normal.” Although, at 16, if you would have told me that one can still get a zit on their chin at 30, I would have slapped you in the face. Alas…welcome to your 30s, ladies! We get to worry about fine lines and pimples! Woohoo! And if that wasn’t enough…I also have a tendency to get small chapped areas from eczema if I am not careful, and although I HATE to admit it, I have paper thin sensitive skin. I get that from my Dad, who will break out into a rash if you even MENTION the word “perfume” around him. 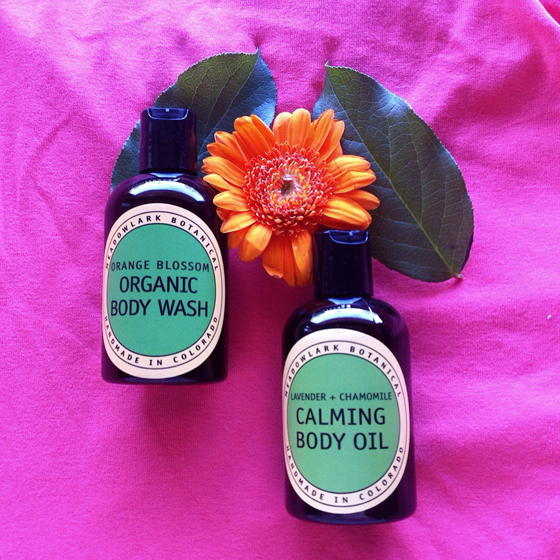 Osmia carries products for full body and facial care: soaps, body oils, facial oils of varying kinds, etc. Their products are targeted to your skin problems: acne, dry skin, aging skin, you name it. They even have a lovely new natural scent line that is subtle, earthy and safe! Osmia prides itself in not only the way their products work on your skin, but also the way that they make you feel when you use them. The calm that washes over you while breathing in the notes of lavender in your soap, the Bulgarian rose and base of violet leaf in their perfume Possa to reinforce your courage and strength. I think that’s a powerful way to make your products. 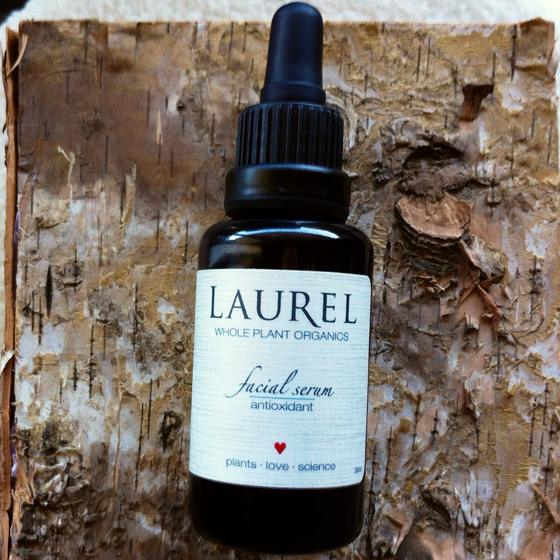 You greenies have probably read a lot in the past year about Laurel Whole Plant Organics. Or haven’t you? Well, let me tell ya, it seems like everyone in the green beauty/skincare community is learning and raving about Laurel’s entire line. I’m here to tell you all that it’s true: this brand truly is one of a kind. I had the pleasure of meeting Laurel (herself!) at A Night For Green Beauty in August. She was kind, answered all my questions, and very generously gave me some samples to try out. So, what principles guide this brand? 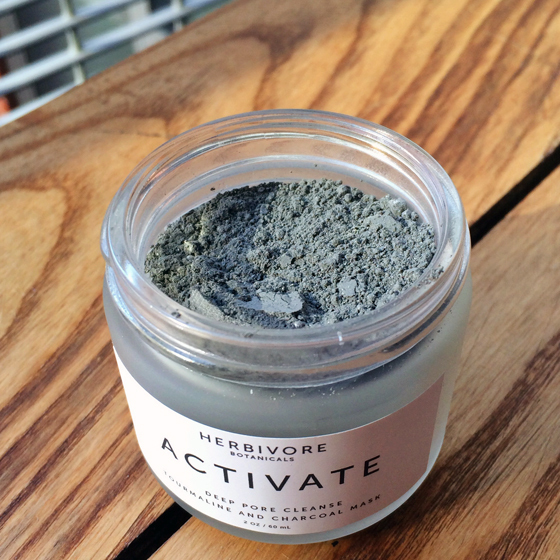 This whole line is so clean, effective, and most important…all-natural! Laurel products are definitely an investment. But in my opinion – more than well worth it! It’s HOT here in Cali! 100 degrees of dry sauna insanity in my backyard. Six months out of the year I am taking two showers a day (short ones…water conservation! ), which is no bother, because that’s twice as many cool new products I can try and blog about. Woo! I came across Meadowlark Botanical on Etsy, and after having some really awesome and informative conversations with Jessica, the owner, I was beyond jazzed to buy some of her gorgeous products. Jessica hails from beautiful Colorado, and is passionate about making products that are safe for you, your babies (if applicable! ), and your home. She makes soaps, body oils, scrubs, facial masks, dry shampoos, cuticle cream, and much more! Jessica started this company in 2013 after she started suffering from a rare autoimmune disorder that makes most commercial beauty products impossible for her to use. She wanted to create products for herself and others than were not only effective, but mindful of the environment and simple in their nature. In a word: SAFE.